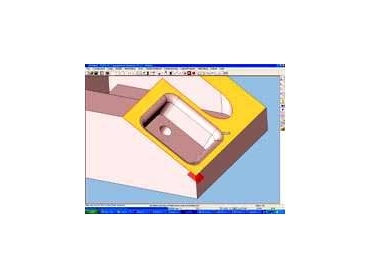 Program includes toolpath smoothing options. CAMTEK Pacific’s newly released PEPS V5.3.6 NC/CNC programming CAD/CAM cuts direct 3D Solid Model. The latest developments to the entire suite of the SolidCut 3D machining modules include many new and improved features. Initial responses from the Camtek reseller network report potential customers and early users are enthusiastically receiving the updated solution. "Our targeted development effort has extended and enhanced an already superb 3D machining solution,” said Camtek's Director of Sales and Marketing, Terry Antrobus. “Our new user interface and workspace structure design moves ease of use up to new levels - toolpath is generated with a minimum of mouse clicks - and each of the machining strategies have been improved and enabled with increased functionality and options. We are particularly pleased to have incorporated significant reductions in calculation times for all toolpaths." Available at two levels of functionality and price, SolidCut 3D Standard delivers comprehensive 3D machining for all machine shops, while SolidCut 3D Professional extends and adds functions for the more demanding applications used by power-3D machining users. Major new features of this release include improved options for lead-in and toolpath link-move definitions including features for improved high speed machining support, a new 3D-offset machining strategy, better Rest machining capability, 'toolpath smoothing' options for High Speed Machining and improvements to roughing routines with automated flat-area passes, automatic optimum angle calculation and functions to reduce variations in tool loading. New and improved machining strategies for 3D machining will shortly be made available in releases of SolidCut Production. Milling for 2.5D and 3D machining will be integrated or used as separate modules. A standard and professional level will also be available to suit differing customer needs. Simplified use of geometry for machining can now be used - faces, edges, sheet bodies and loops can be used directly from the solid model. Line/Arc and wire body geometry can also be selected for direct machining without the need to generate further blocks or polyline data. New functionality has been made to greatly simplify machining of solid faces at differing Z levels. These faces can be united as a sheet body at an automatic or controlled Z level and can be selected for machining operations such as pocketing. These Solid faces and sheets can be hidden or shown from a right mouse click. Compound figures can still be selected for machining if required. High-speed pocketing is now available, eliminating sharp corners in the toolpath and thus removing the need for tools to slow at sudden changes of direction. Radial loops have been added to moves between pocketing passes when a minimum corner radius has been set. A new Rest Pocketing option has been implemented, which removes material from the regions uncut by the previous tool, suppressing 'fresh air cutting moves'. Enhanced methods of preparing Workshift Origins are now available, particularly from solid models. The display of the current origin has been made clearer by displaying a translucent, rendered plane. To simplify the selection of geometry it is now possible to use a pixel thickness and colour to display highlighted wireframe items. Solid faces and bodies can also be highlighted in customer defined colours. PEPS SolidCut now boasts an impressive range of freely-included direct file Design Integrators for SolidWorks, Solid Edge, AutoDesk Inventor and IronCAD, and also for IGES and DWG data. The range is completed with optional integrators for Catia, ProEngineer, Unigraphics, VDA, and STEP.